Apple Inc. (AAPL.O) and Qualcomm Inc. (QCOM.O) have spent two years fighting around the globe over how much the chipmaker can charge for iPhones that use its patented technology, with neither landing a decisive blow. That could change with a trial starting Monday in San Diego. Apple, with roughly US$245 billion in cash, will be able to shrug off any damages awarded. On the other hand, if Qualcomm’s hometown jury finds that the chipmaker has abused its market dominance to demand excessive royalties from phone makers, it may be forced to abandon a licensing model that has allowed it to grab as much as 5 per cent of the net selling price of every smartphone sold. Qualcomm had already lost about US$7 billion in revenue as of October last year because Apple’s Asian manufacturers, including Foxconn Technology Group, stopped making royalty payments in 2017 for iPhones and iPads they assemble. 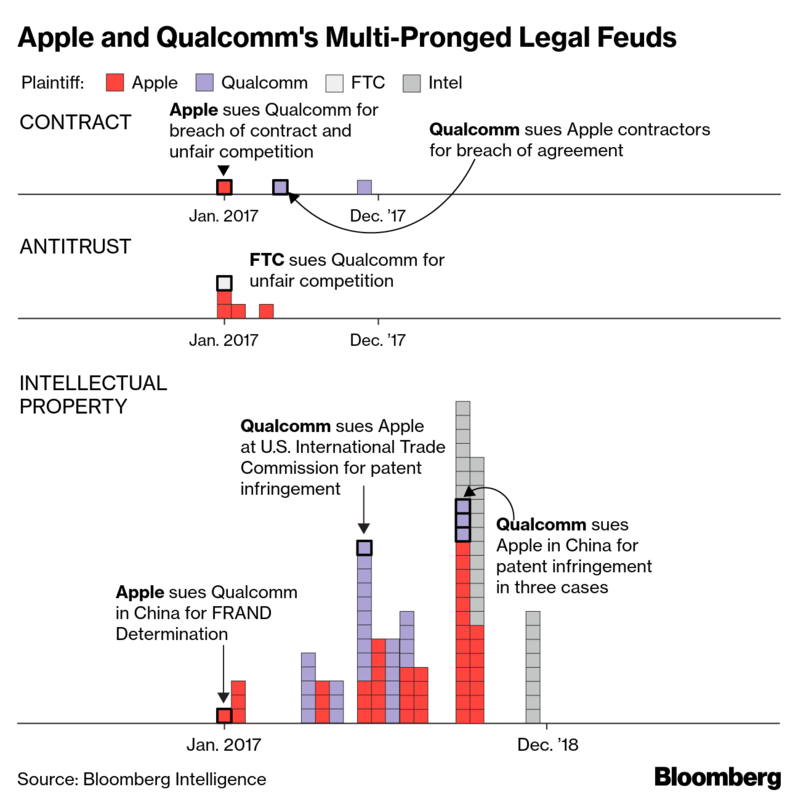 Apple doesn’t have a direct licensing agreement with Qualcomm -- it hasn’t paid Qualcomm directly -- and instead reimburses its manufacturers who pay Qualcomm through separate contracts. The group of manufacturers also includes Compal Electronics Inc., Pegatron Corp. and Wistron Corp. In addition, Qualcomm faces as much as US$9 billion in possible damages from the Asian manufacturers, who claim they were forced for years to overpay for their licenses. Those damages can be tripled by the judge under antitrust law. Qualcomm cut off the quarterly payments to Apple in 2016. The chipmaker alleged Apple had breached their agreements by instigating government antitrust investigations of Qualcomm, including in Korea where it was hit with a fine of US$853 million that year. Apple meanwhile has switched over to Intel as its supplier of baseband chips.